Here, in this new tutorial we’re going to list the best custom ROMs for OnePlus 2 based on Android Marshmallow or Lollipop. OnePlus 2 is the one of finest Phone from Oneplus, and most of the android users are using the same as their primary device. The best thing about the Android phones is that you can enjoy lots of Custom ROM on your Phone. All Credit goes to XDA members who comes with lots of new custom ROM, based on Android Marshmallow or Lollipop. All these ROM comes with lots of new features and customization which you can’t fin on the Stock ROM. Here in this guide, we’re going to list out best custom ROMs for OnePlus 2. 1.1.24 24. SkyDragon v4.0 Aroma|Battery,Smooth and Fast! We tested most of these ROMs on our OnePlus 2. Some of our favorite Custom ROM for Oneplus 2 are CM13 by Grarak, Exodus 6.0.1, Resurrection Remix 6, BlissMallow 6, Beanstalk 6, XOSP 6.0. To install these ROM all, you need a rooted Phone with Custom Recovery, ROM zip file, and Gapps File. As we mention above to install the Custom ROM on your phone first you have to unlock the bootloader of your Oneplus 2 and Install the TWRP recovery, check our guide here how to root and install TWRP on Oneplus 2. After this, you have to Download the Custom ROM for Oneplus 2 from the below mention links and Download the Google App Gapps zip file here to install all the Google Application on your Custom ROM. The following is the list of Best Custom ROMs for Oneplus 2, don’t forget to check the ROM page on XDA before flashing (click on the names of the ROMs for that). 24. SkyDragon v4.0 Aroma|Battery,Smooth and Fast! 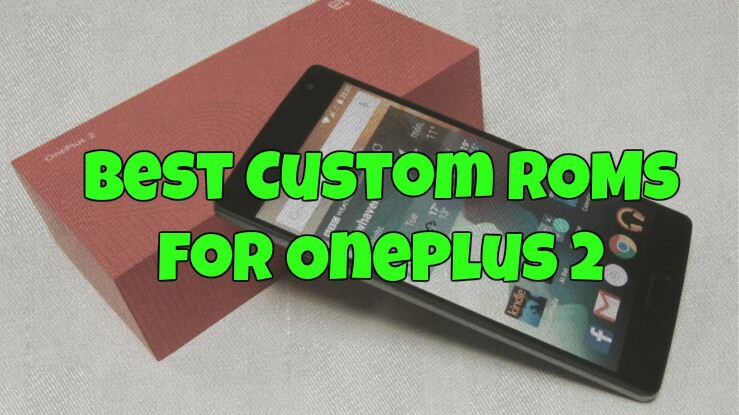 This was the list of Best Custom ROMs for OnePlus 2, Install them and enjoy on your phone. lease comment on if anything is missing and also let us know which one is your favorite of the lot! After cm13, my phone restarts itself whenever calls are made or received. Any answers?